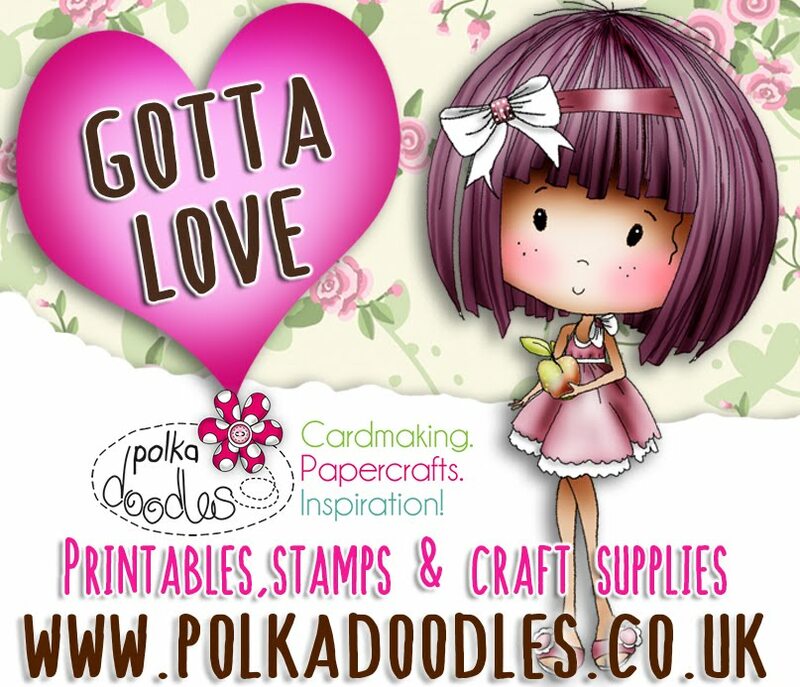 15% off digital stamps when you spend over £10 until 6/5! So take the opportunity to stock up on some bargains! We have a new challenge from us here at Digi Choosday, and this week it is CAS! For those that don’t know what it means it is, Clean And Simple. So keep your creations as simple as possible, it's all about having a nice clean fuss free feel to your makes. You can use any products you like to enter as long as it follows the theme for this week. We don’t have many rules but check them out in the sidebar if you need to. and the winners will be announced on 19th May 2015. The winner and top 3 for week 14 can be found at the bottom of this post. 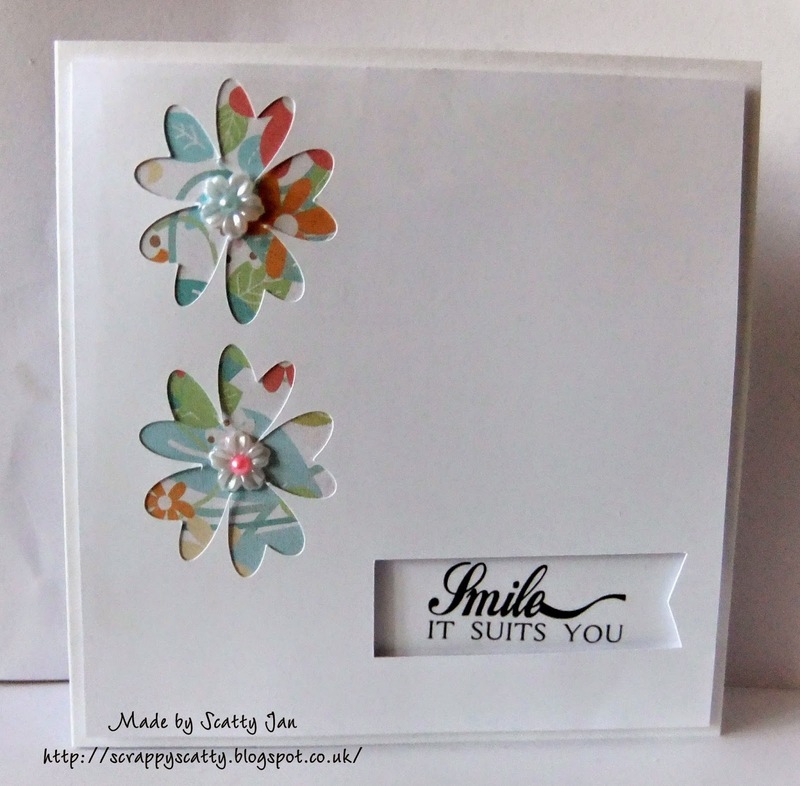 Anjie - This is a hard one for me as I love to use embellies and dies on my cards, so I had to sit on my hands lol. The image is Miss Charlotte from the Rose Budd download Collection. The collection is also available as a CD HERE. Miss Charlotte is also available as a clear stamp HERE. I have coloured her with my Graph'It Markers. More details on my blog. Caz For my clean and simple, i have used the lovely digi called Love & Kisses...You can also get her on the fab collection Work n play 9 Love & Kisses. Tanya....I’ve printed the lovely Milking Time With Kittens digi out onto Ultimate Graphic paper and coloured her with my Graph It pens and then made a card shape using one of my dies by Tonic and added a simple sentiment tag – Just Popping By To Say Hi – also from the W&P 10 collection and voila….clean and simple. Dawn I have used Saucy Wedding Night from Love & Kisses Work & Play CD & is also available as a download here. There are loads of elements on this CD, which can be used for all sorts, not just weddings etc. She is coloured with Polychromo pencils. An easy CAS card. Monica- I´m not a CAS crafter. I love shapes, dimension, 3d and work with colorful papers. So this is my not so CAS card for this week. 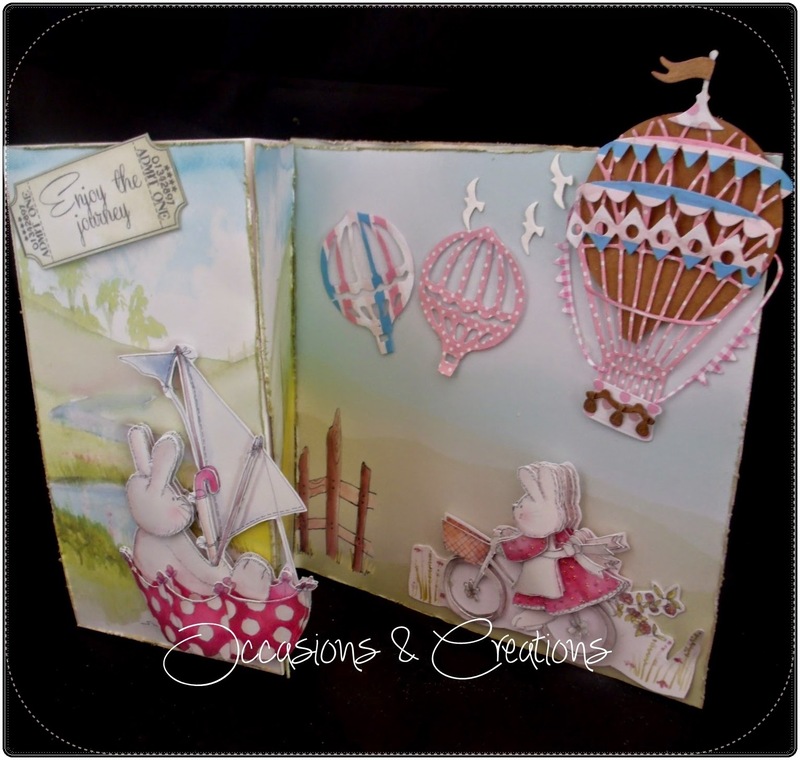 I used stunning papers from Dollie Dream Goes East and the lovely digi is Octavia Bird on Hand. Wendy - For this weeks card, I've used a flower cuttiing file and arranged and resized them in the Silhouette software and then cut directly onto my card blank. The cutting file is here. The image is from the Pretty Sweet CD collection, but you can get Piper as a digi here. The beautifully scrolled sentiment is from Work & Play 3. Yvonne - Hi there. Well I have come to like doing CAS cards, I think it's the images that help to be honest! 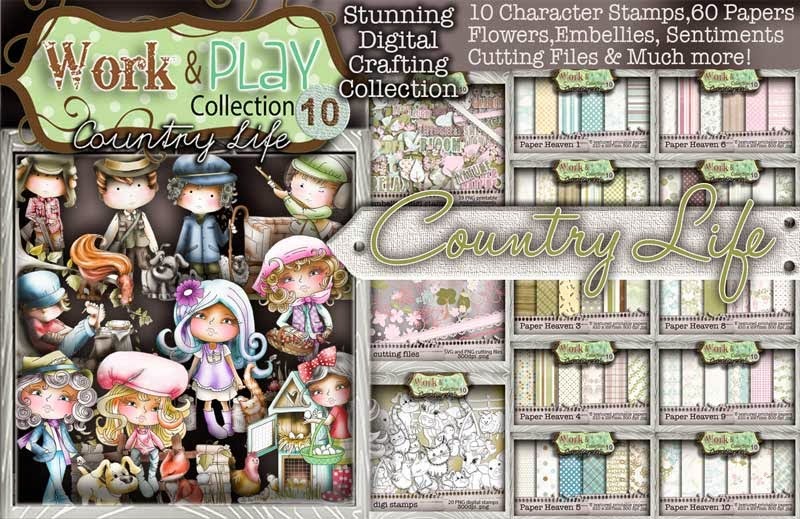 I am still in love with the Work & Play 10: Country Life Collection, which you can get as a CD-Rom or as an instanrt Digi Download Collection. I chose 'Dog Walking' and you can find the individual digi here. Coloured with my Polychromos Pencils - getting better I think! The sentiment is from the same collection. 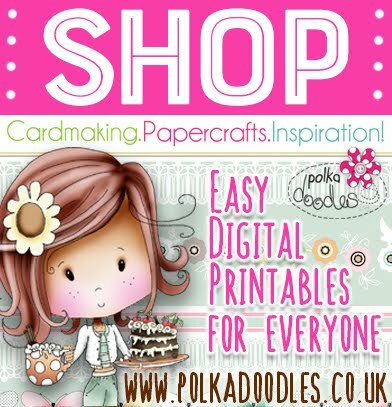 Please email us at sales@polkadoodles.co.uk quoting DCW014001 to claim your prize of a £5 of free downloads from the digi store! Grab your blinkies from the side bar! Well done everyone! Thank you all so much for your entries, it means so much to us that you join us each week - see you next time and have fun with your CAS theme! 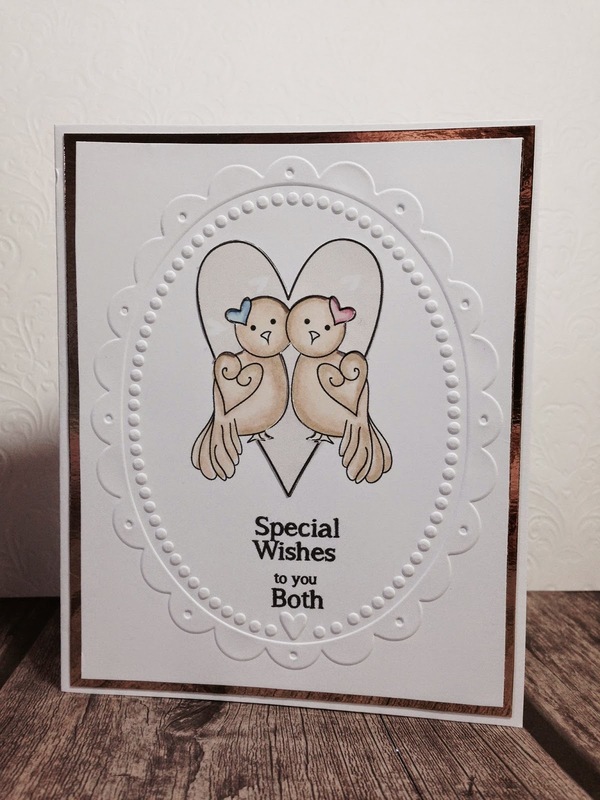 Before we get onto the challenge we need to tell you our lovely Nikky Hall is on Create & Craft again this week. She will be adorning our screens on Wednesday 22nd at 10am with some fabulous products. If you are a fan of Spampbord ™ you will not want to miss it. If you’ve never heard of it you should tune in and learn about it as it is a fabulous product! Now onto the new challenge from us here at Digi Choosday, this week it is Spots & Dots! and the winners will be announced on 12th May 2015. The winner and top 3 for week 13 can be found at the bottom of this post. Anjie - For my make the image, Octavia wash day, and all the embellishments and sentiments are from the Octavia Moonfly collection. Octavia is coloured with my Graph'It Markers. The papers are from the Cherryblossom Lane collection. Scatty Jan For spots and Dots I have again used the lush papers from The Pretty Sweet Collection, and this time I have used the adorable Piper Playing , coloured with Graph'It Markers. There are spots on her Tee shirt and dots on the backing papers, I added a bow, some extra squares from the backing paper, a punched flower and some gems to finish . Hello everybody. This week I’ve used another one of the beautiful Eden images. 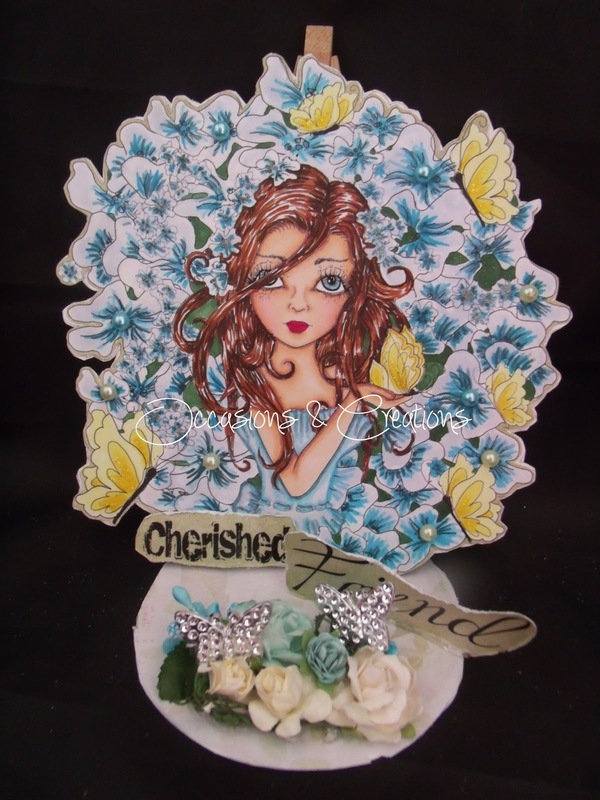 She’s called Eden Cherry Blossom and is available HERE singly or in the collection HERE. I’ve coloured her using my Graph It pens on Ultimate Graphic paper and have used my Graph It White Shake pen for the spots and dots on the flowers and used a sentiment and the paper from the full collection. Full details can be found on my blog. Caz For my Spots n Dots i have used the cute digi image called Champagne Celebration..You can also find this digi along with papers, flowers and sentiment on The Cherry Blossom Lane CD. Wendy - For this wweks card, I've used the Wedding Night image from Work & Play 9 'Love & Kisses', you can also get her as a single digi here. Both the spotty papers are from the same collection and the backing paper in taupe is from the Plain Jane section of Octavia Moonfly, this whole section of papers can also be purchased on their own here. 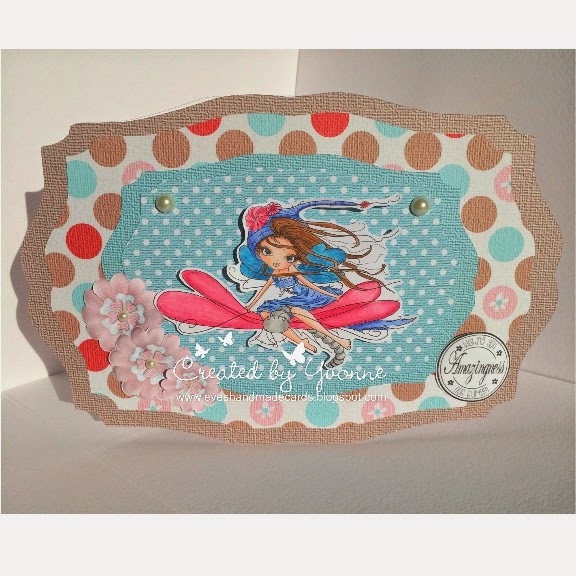 Monica - For my project I made a shadow box card with a beautiful background scene from Cherryblossom Lane collection. All the papers I used as well as the little mushroom house and the beautiful "Blossom Windy"digi are from the same collection, Also you can find just the digi stamp here. The flowers and butterfly are cutting files included in Work and Play 10.-Country Life. Yvonne - Hello there! Well this week I have coloured with a new medium and that is coloured pencils, I love them, hope you do too! I decided for this theme I was going to attempt to colour Octavia Dragonfly Ride and you can find her here as a digi or here as part of the overall collection as a digi download collection or you can get her as a CDRom - the choice is yours! I have been using Nikky's cutting files again and this time I am using Frame 2. The papers are from Octavia Moonfly, but the flowers are from Work & Play 10: Country Life as is the sentiment. 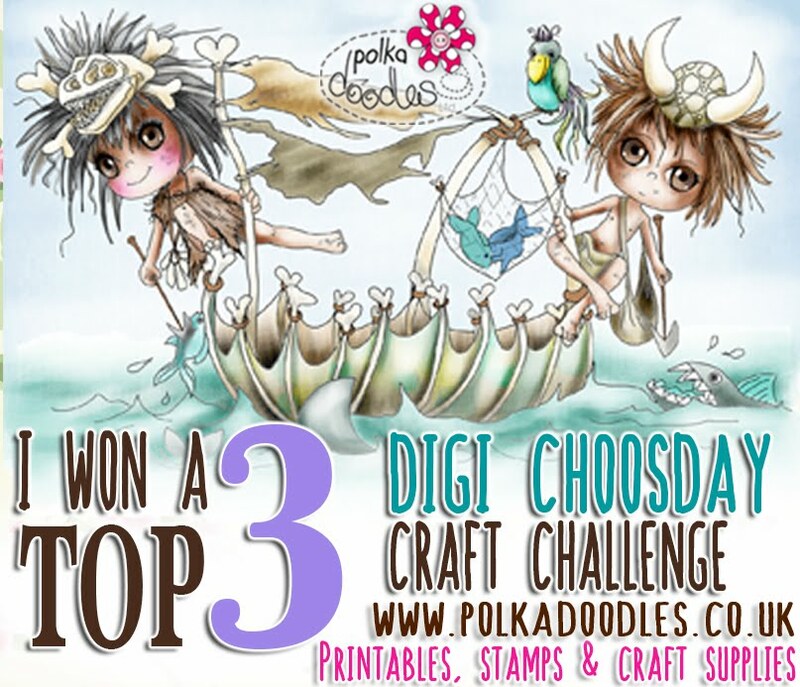 Please email us at sales@polkadoodles.co.uk quoting DCW013001 to claim your prize of a $15 voucher to spend in the digi store! 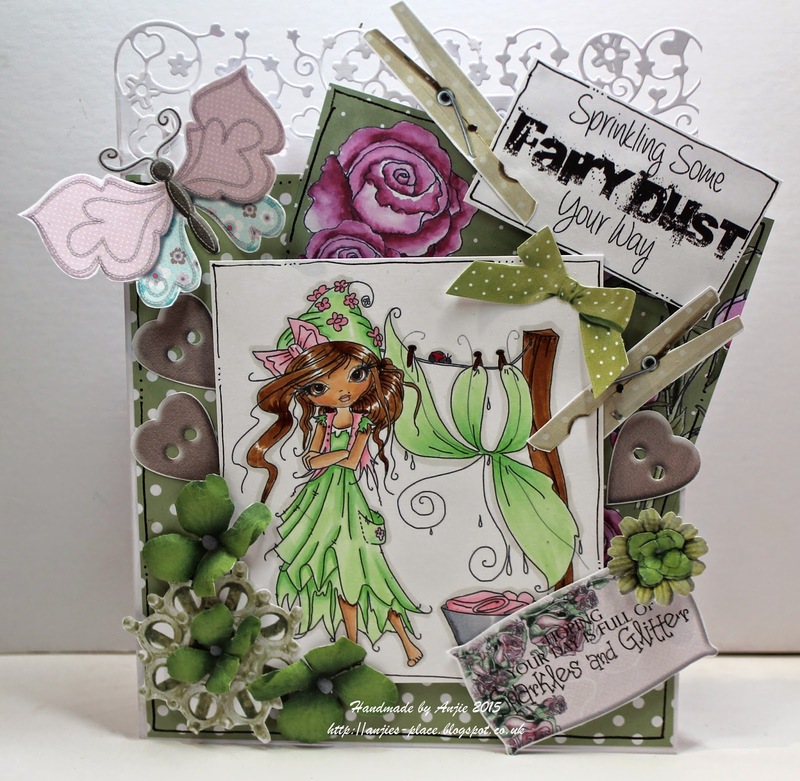 Did you mangage to catch the fabulous Nikky Hall on Create & Craft on yesterday? If not head over to the Create & Craftwebsite and watch the show on catch up. You will not be disappointed as there was a fabulous new CD on that you will not want to miss! Now onto the new challenge from us here at Digi Choosday! The challenge we have set for you this time is to use Pearls & Gems. I’m sure this is an easy one for everyone as we think most people use these on their creations. and the winners will be announced on 5th May 2015. The winner and top 3 for week 12 can be found at the bottom of this post. Dawn I have used True Love/ Best Friends digi stamp which can be found here as a download or as part of the Love & Kisses CD here & coloured with Polychromo pencils. The papers & scrabble letters are from the same CD. or as a single digi and the Graph It Pens can be found HERE and Ultimate Graphic paper HERE. More details and photos can be seen on my blog. 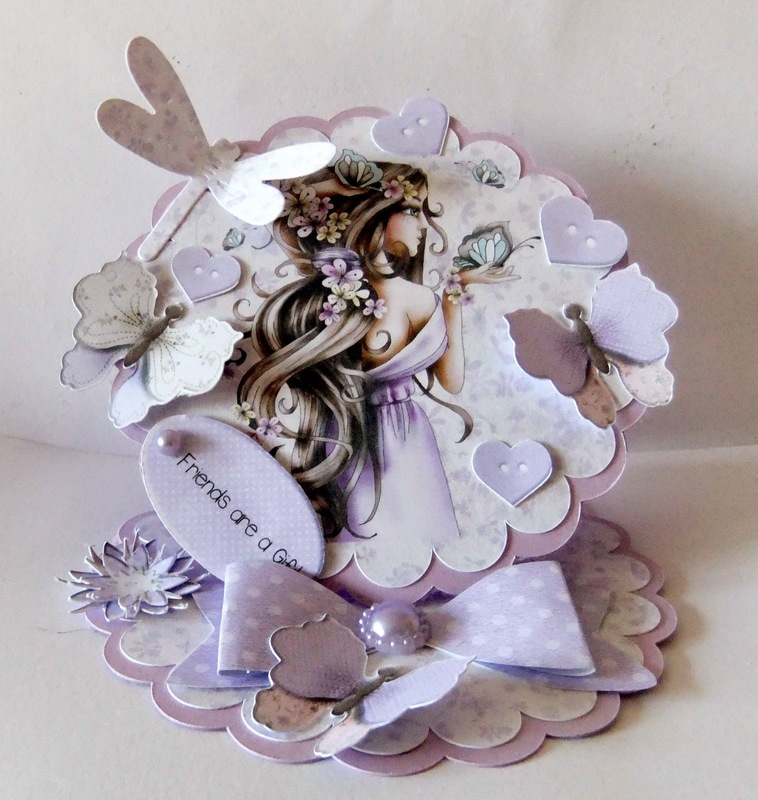 Caz For my pearls n Gems card i have used the lovely Cupid..You can also find her on the fabby Work n Play 9 Love n Kisses collection.. Papers are from Boundless love download..Have added liquid pearls round edge and some heart gems. Scatty Jan Pearls and Gems, I just love to use both. I have had the Pretty Sweet collection for ages but only last week discovered some lush papers on it that I totally fell in love with, so much so that I have used them on 3 cards this week!! Both papers used are from the collection but I just adore the one with squares on , it comes in a variety of different colours too. I coloured up Luna using Graph'It Markers , cut out some extra squares and punched some flowers, and pearls and gems to finish. Yvonne - Hi there everyone! This week I have been playing with one of the new cut files in the store called Frames 1 - I have wanted to make these shaped cards for ages but as I am no good with scissors, so the matting and layering on shaped cards has always been a problem for me. Nikky has saved the day - again - and put these FAB frames in the shop at only 60p!!!! Can you say bargain!!! I cut two blanks in my Silhouette and then scored one and taped together, I cut the main mat at the same size (fits perfectly) and then reduced the frame twice to get my layers. I used the precoloured 'Cherry Blossom' from the gorgeous Eden Collection. The embellishments and pearls are from Eden also. The sentiment is from W&P 10. I then added tiny little pearls round the image in fitting with this weeks theme. 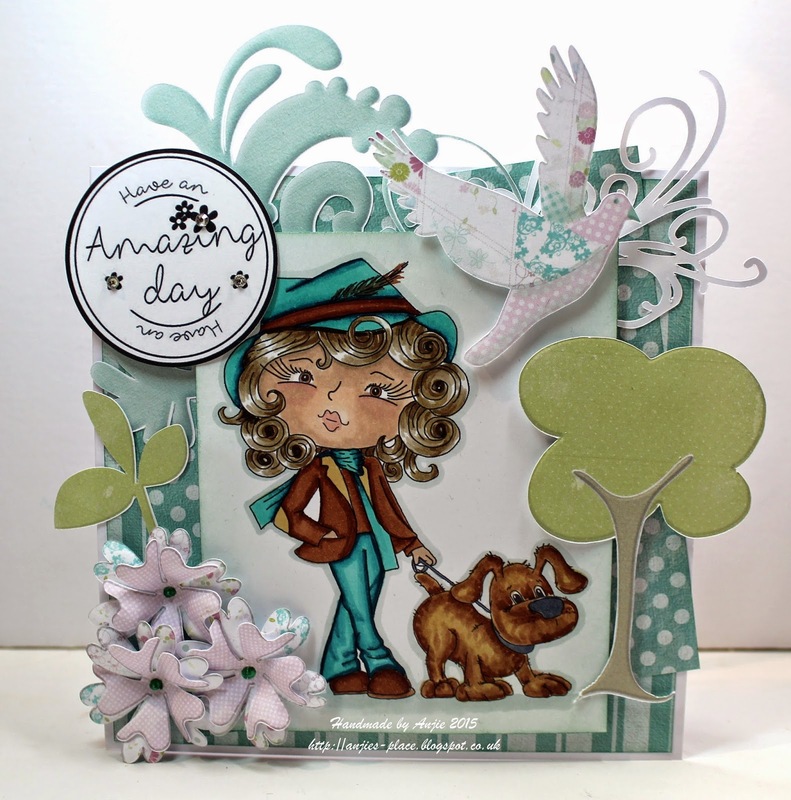 Monica,.This week I made a triangular diorama card using digi, papers and flowers from Work and Play 10.-Country life. Also you can find the "Egg collecting" digi here. 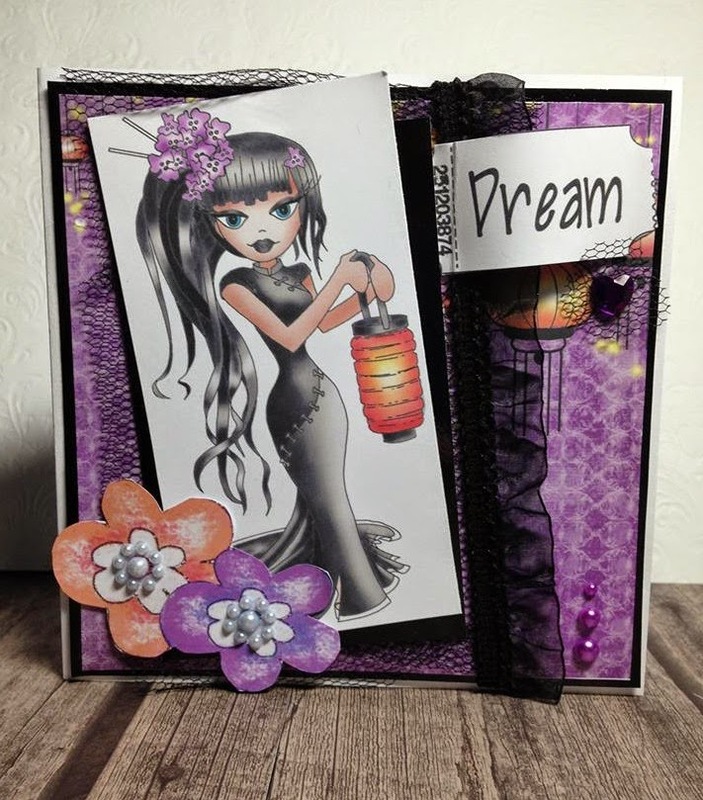 Wendy - My card this week is based on a chinese screen and therefore the perfect collection to use is Dollie goes East! I've used lots of digi's and hand coloured, as is Dollie, she is also available on her own as a digi here. 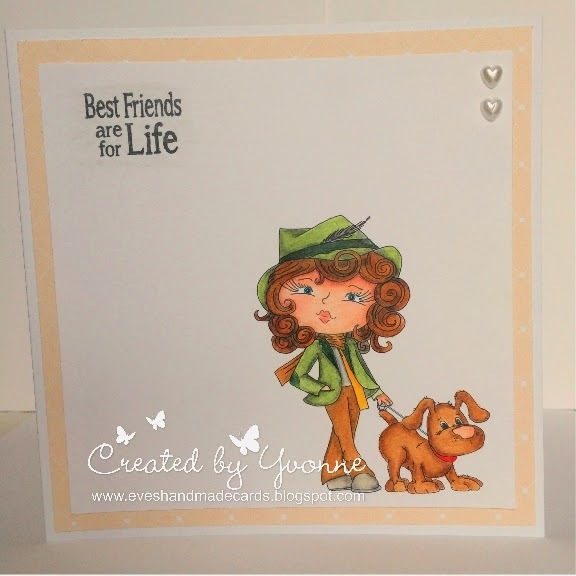 The screen is made by printed one of the backing papers from the collection on card and die cutting. 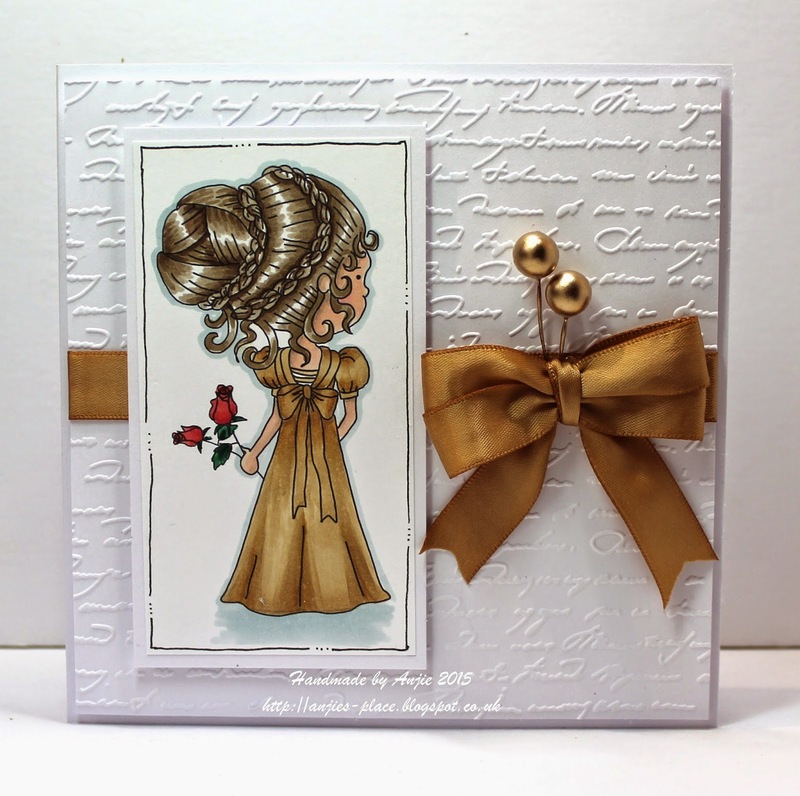 Lynda: For this weeks challenge I decided to use the very beautiful Dollie Goes East collection, this includes the digi stamp, sentiment, flower embellishments and the background paper. All of this and so much more is available on a cd or as a digital download. 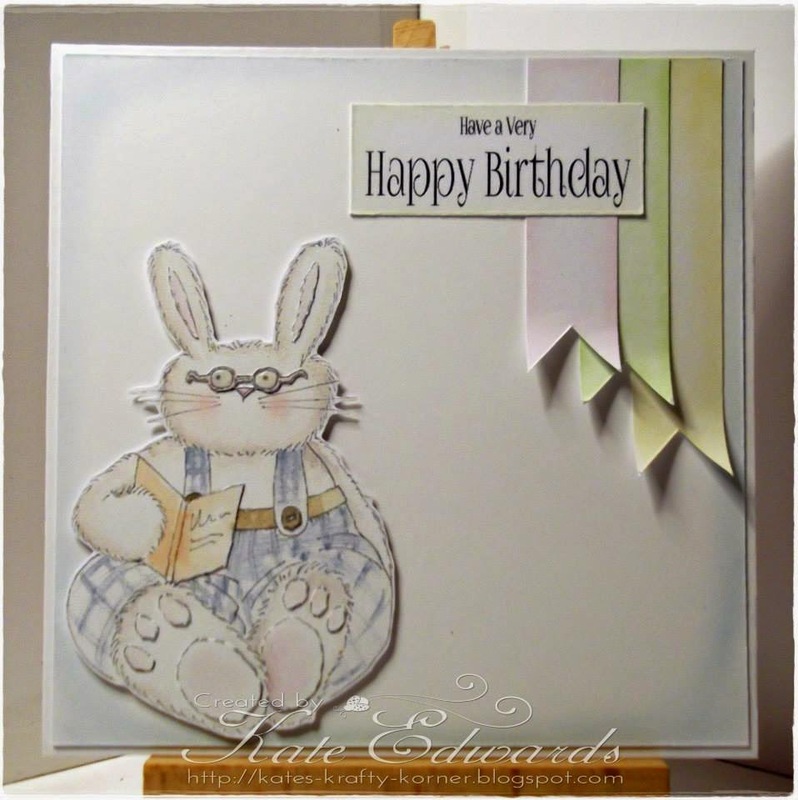 Anjie - The image, papers, embellishments and sentiment are all from the Work &amp; Play 10, Country Life, digi download collection. This is also available as a CD HERE or as smaller download bundles HERE. More details and the markers I've used are on my blog. Please email us at sales@polkadoodles.co.uk quoting DCW012001 to claim your prize of a £5 voucher to spend in the digi store! Happy Choosday everyone - hope you've all recovered from the eggfest of Easter and ready to get your craft on! Before we get onto the challenge we want to remind you that we have a fabulous new collection out in the Work and Play series, collection number 10 Country life. 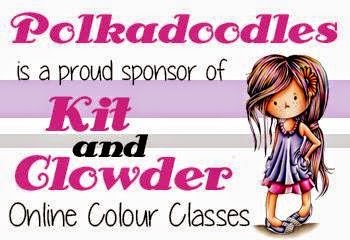 Also don’t forget that Nikky Hall will be on Create & Craft on 13th April with a never seen before, not to be missed brand new collection. Believe me, you will NOT want to miss this. 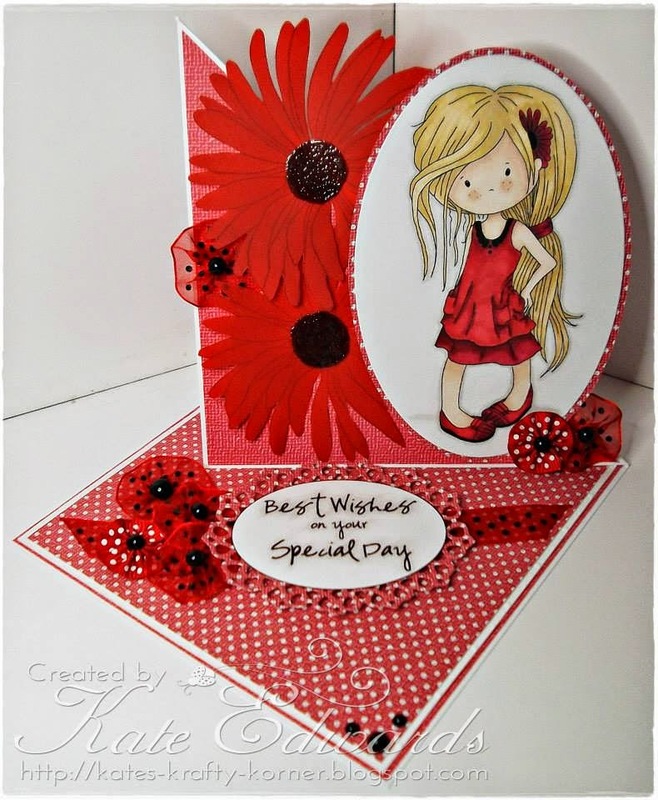 You can make anything you like - maybe a card, a scrapbook layout of even home décor. and the winners will be announced on 28th April 2015. The random winner (chosen by Random.org) will receive £5 of free downloads of your choice from the digi store! The winner and top 3 for week 11 can be found at the bottom of this post. 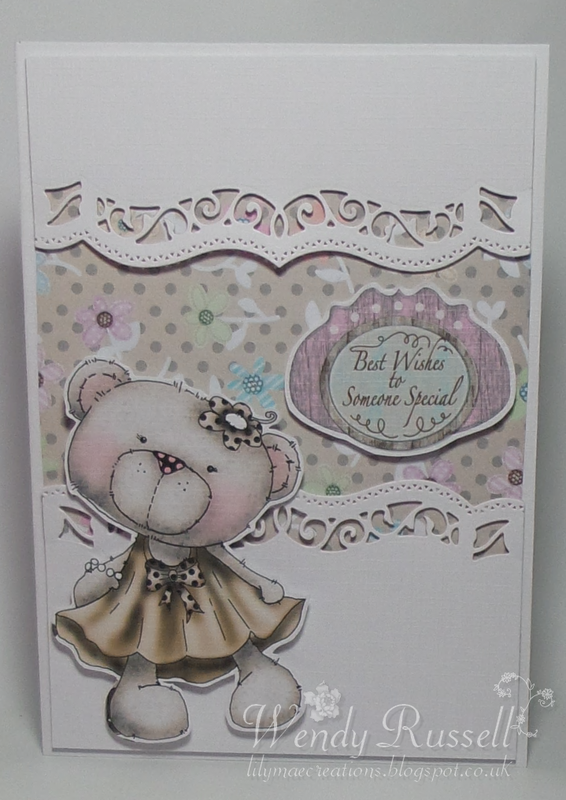 Anjie - The image is from the fabulous Eden collection from Polkadoodles, as are the papers and embellishments. She is coloured in with my Graph'It Markers. 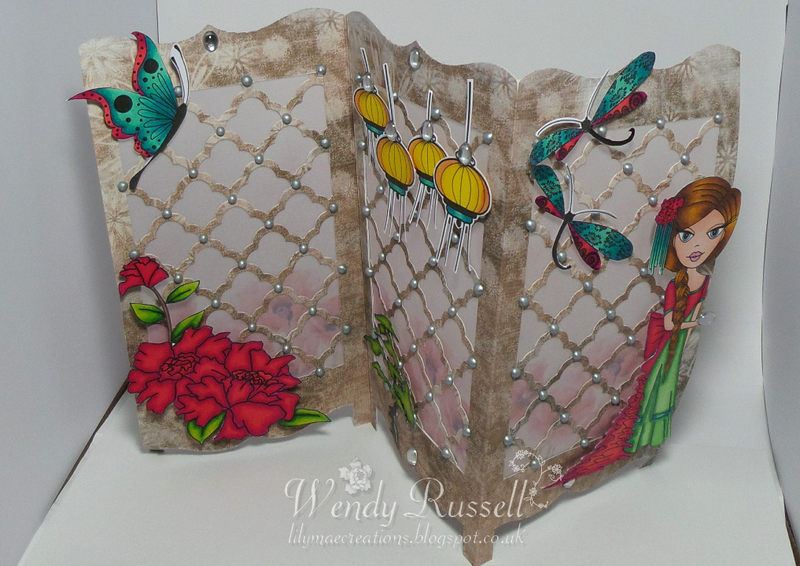 I have used a Tattered Lace over the edge die to create the card blank and a Spellbinders die for to 2 die cut butterflies. Caz For my project i have used the gorgeous Octavia Moonfly Dragonfly. 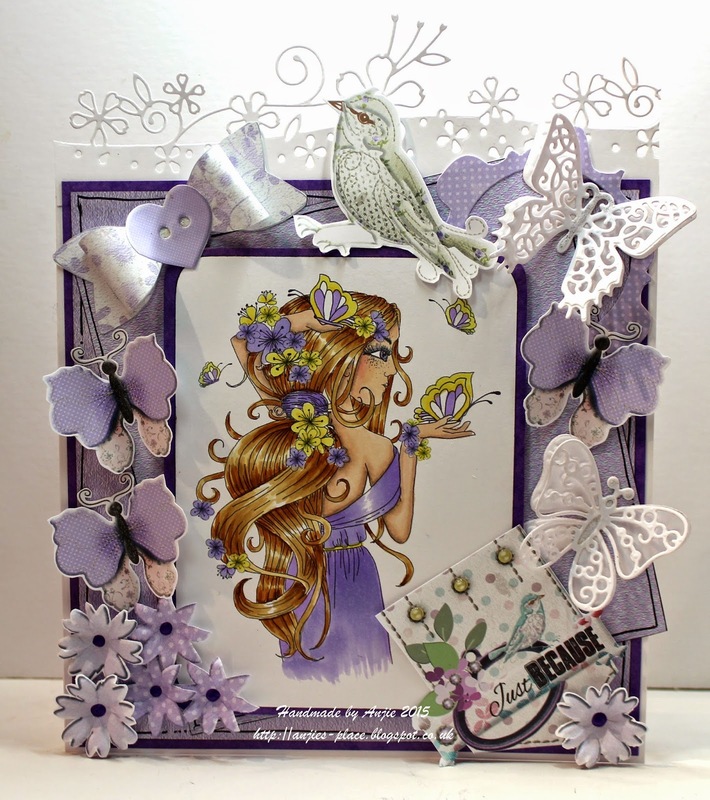 Coloured with Graph it markers..You can also find this digi, along with the papers i have used, and wording on the fab Octavia Moonfly collection available as a Download or if you prefer CD..The dragonflys are my die. 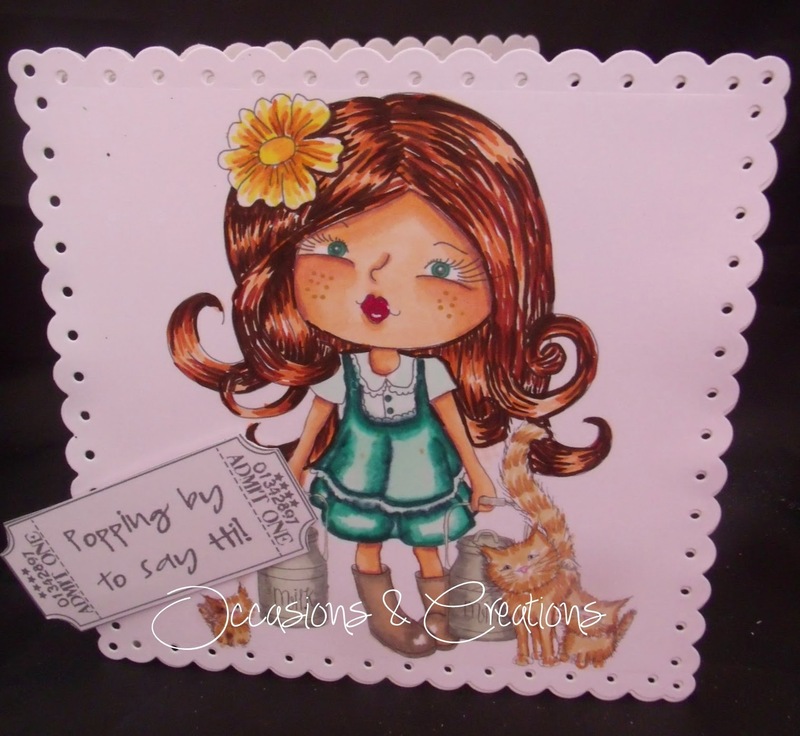 Lynda: Hi x Being the mad cat lady I am I couldn't resist using the Work&Play 10 Collection - Country Life!! The digi stamp used is called Milktime and you can buy her as part of the collection or separately here. 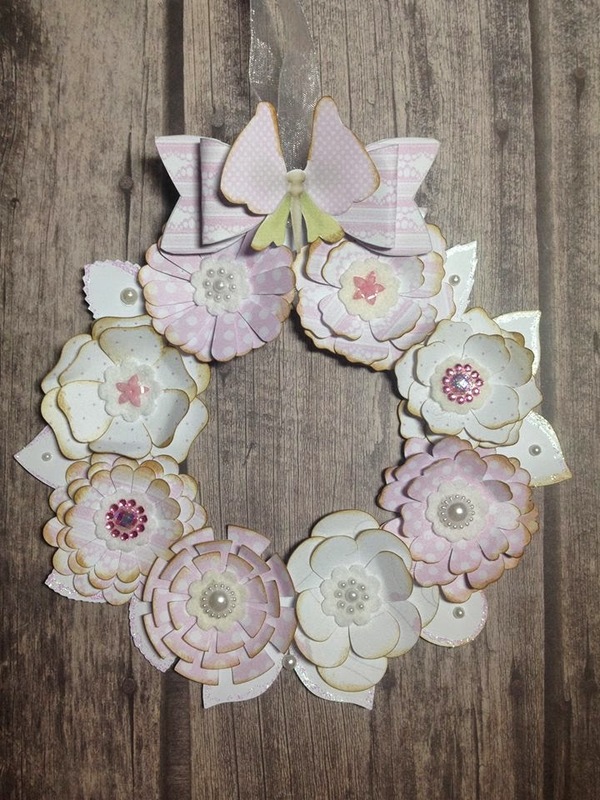 The background papers and the cute bow are also from the same collection. I used a little leaf die by Marianne. Wendy - For my card this week I've used a paper, the sentiment and a pre-coloured image of Etty's New Dress, all from the Winston Collection. If you have more time than me over the Easter Holidays, you can also get Etty as a digi on the collection or on her own here to colour yourself. My die element is a border die from Spellbinders. Monica- For this week, I made a sliding recipe box, with the lovely Piper with bunches sitting on a bench -that`s my die-. But what I love the most of my recipe box are the stunning papers and elements from Picknix 1.-Home grown bundle. Yvonne - Hi there everyone! I have dies coming out of every cupboard in my house, but I only used one die this week and I'll tell you why, the NEW Work & Play 10; Country Life came out and it has SO much in it, I wanted to play with it and not so much with the die! Lol! I chose to use 'Foraging for Mushrooms' which I coloured with my Graph'It Markers, you can see a range of them here. The die is from Tattered Lace. Christine I used the following collections for my card. 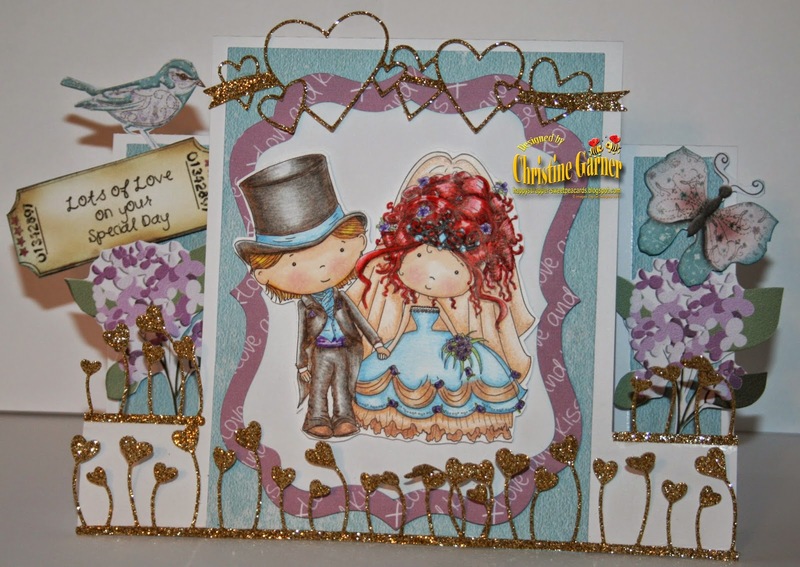 W&P 9 Love And Kisses Collection, I used the Bride And Groom Digi, Digi papers, and sentiment included in the set. I colored my bride and groom with colored pencils and Spectrum Noir Markers. 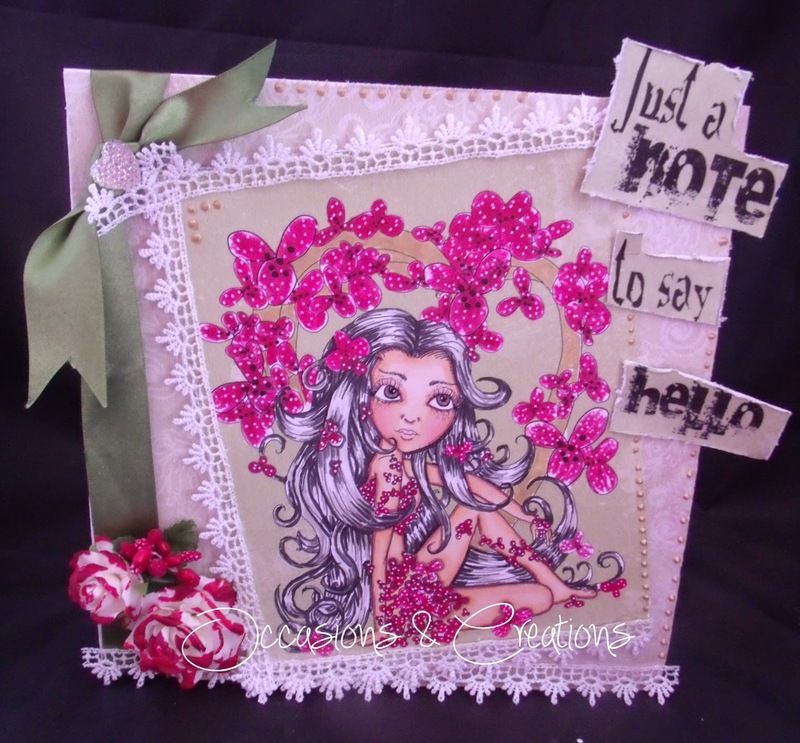 I used the Plain Jane Papers, and some of the embellishments out of the Eden Collection. My dies I used for my card Heart Ribbon from Memory Box and the Heart Flowers. Great makes from everyone I’m sure you will agree! 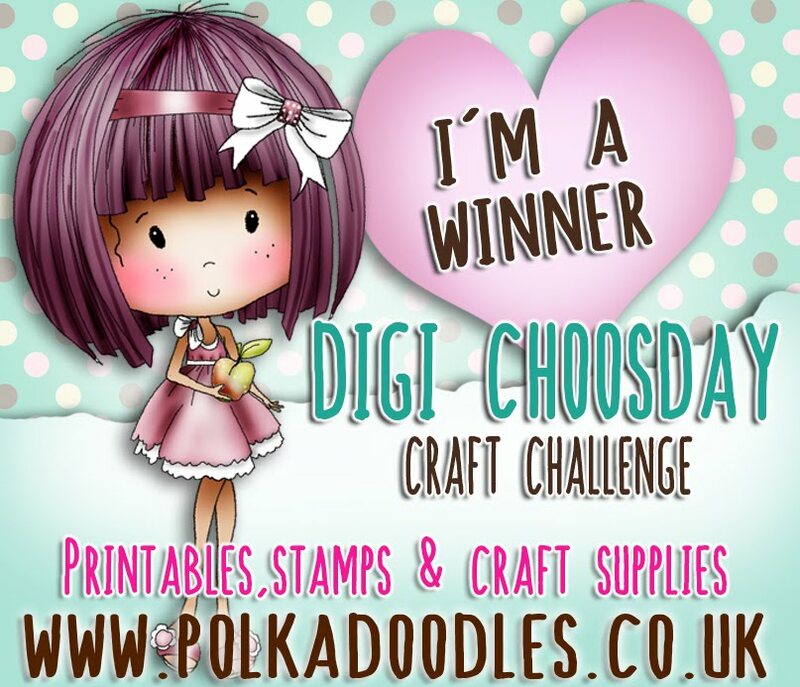 Please email us at sales@polkadoodles.co.uk quoting DCW011001 to claim your prize of a £10 or $15 (US) voucher to spend in the digi store! Well done everyone, grab your blinkies from the side bar!